We have a lot to be thankful for this year! We had an exciting year filled with visits and visitors, friends and family, and many milestones. I’ll let the pictures speak for themselves! Grandpa came to visit us over Spring Break. 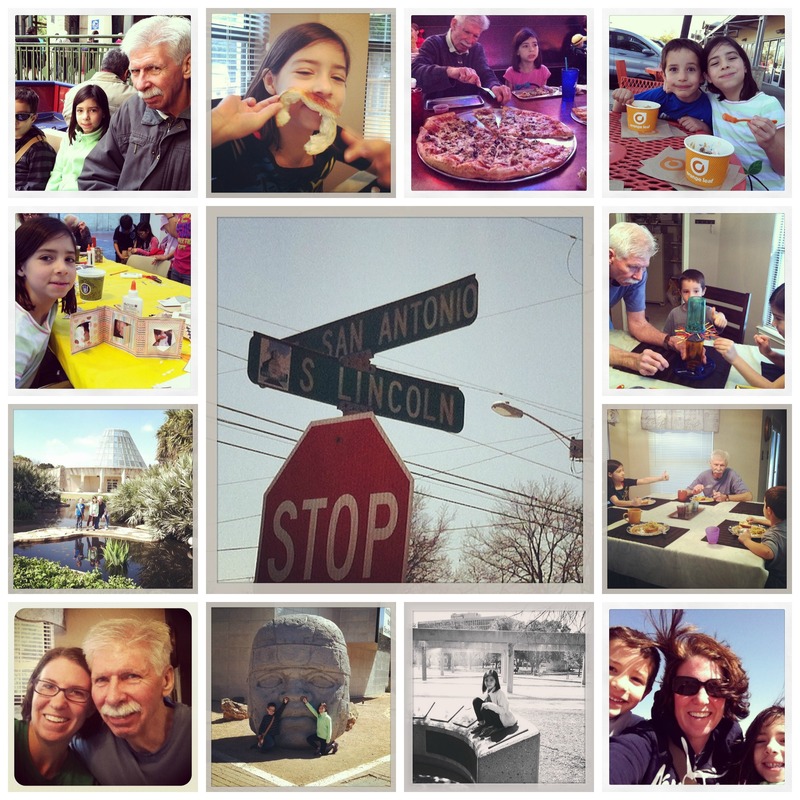 We had a great time playing tourists in and around San Antonio. The kids loved having Grandpa around. We took him to the Riverwalk, the Natural Bridge Wildlife Ranch, the Enchanted Rock in Fredricksburg, Tower of the Americas, Big Lou’s, the Botanical Gardens, and the San Antonio Museum of Art. Phew! I wonder what we will do this year? We also had some other visitors. Uncle Shea came in October and hung out for a couple days. The kids enjoyed having someone new to play LEGOs with, and I enjoyed having someone to take out for coffee! We were also able to host G’s parents for a couple months, and his cousin will be with us for 6 months! We are so lucky to be able to host our family and friends. Let us know if you are heading to South Texas, we love visitors! 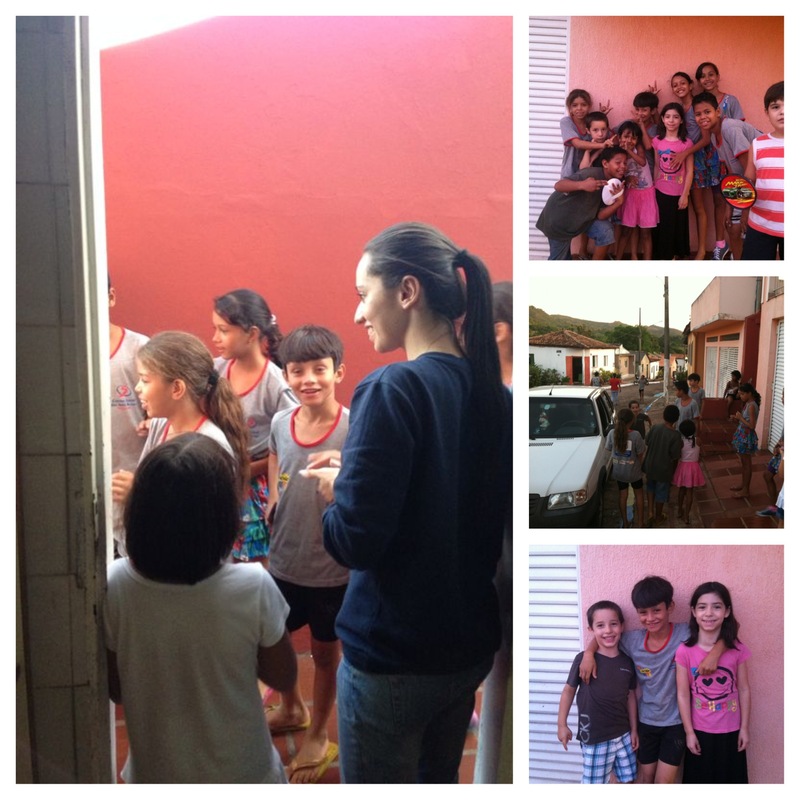 Our big trip this year was a summer in Brazil. We did so many things that it is hard to summarize in a few photos, but I’ll try. The kids and I went over early since we are a little more flexible in the summer. We were lucky enough to be there during the World Cup, and although we didn’t attend any of the games at the stadiums we were glued to the TV during matches. It was a house divided for awhile there! The main event of our visit was G’s sister’s wedding. The kids got to be in the wedding and they did a great job! I was lucky enough to snap a shot of G’s dad walking my daughter down the aisle in the same church where G and I were married. (Maybe someday we will be able to post a side-by-side shot?) 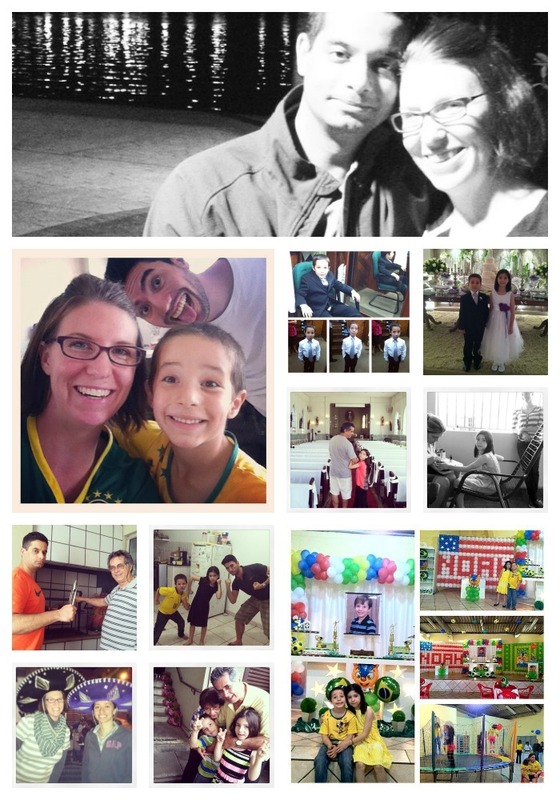 N. also turned six while we were over there, so of course we had a birthday party of Brazilian proportions. 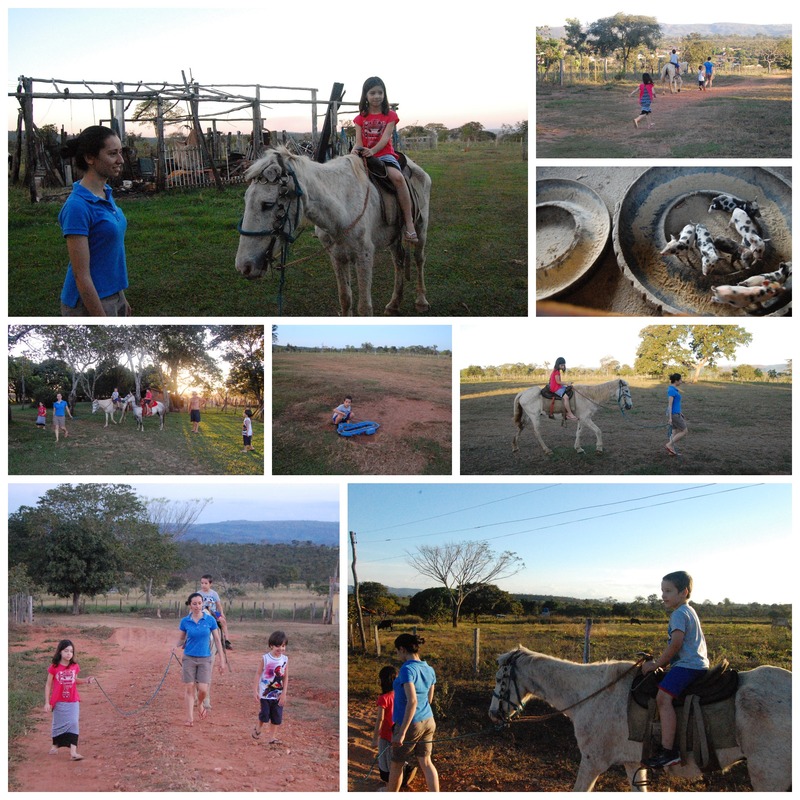 When G finally joined us, we were able to steal away for a few days to the amazing city of Brasilia. We both decided that if we were ever to move to Brazil, Brasilia would be the place. It was so beautiful and well-organized! This sweet girl started 2nd grade this year, and just turned 8 years old. 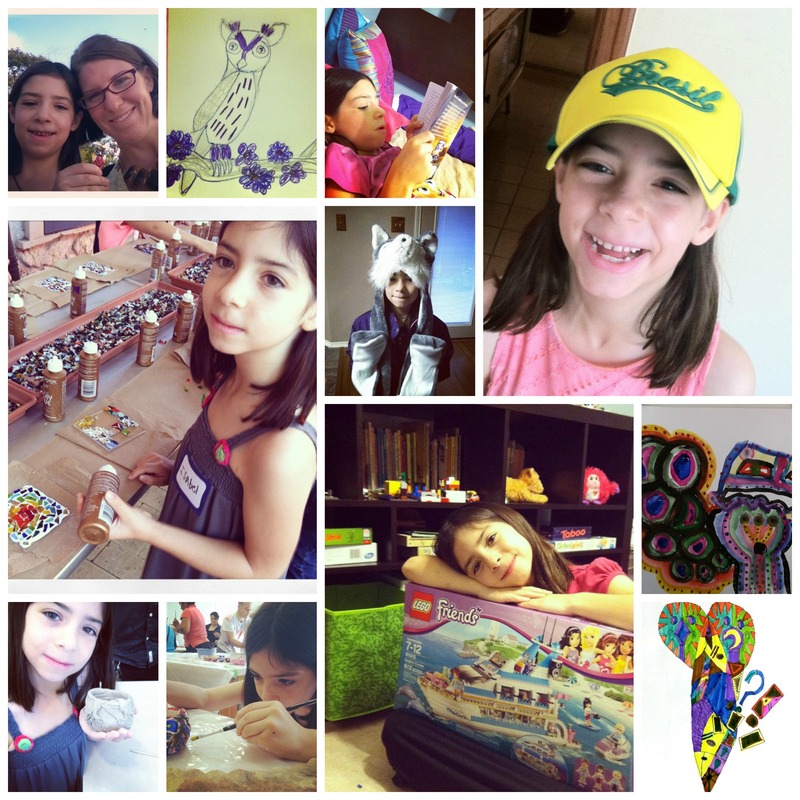 She hasn’t found a lego set that she can’t build, and she loves anything related to art. She always has a pencil and paper in her hands, and she can sit and draw for hours. Her creativity amazes me! She is really turning into an amazing young lady. This charming boy started 1st grade this year which he loves even though they “don’t start multiplication until 3rd grade”! He is 6 going on 16. A total ham as you can see in the pictures, but with a giant heart. He is my sensitive thinker. He is always trying to figure out a better way, and there isn’t a directive than isn’t followed up with a “but…”. We stay busy trying to keep one step ahead of him. He thinks outside the box, but I love it. As for G and I, we are both embarking on new adventures. G just took a new position at a different hospital in San Antonio. He is learning new things everyday! My new adventure begins after the break. I will continue teaching, but am going back to working with students with Autism at a residential treatment center. I am more than excited to begin this challenge! I hope that you enjoyed a peek at our year as much as I enjoyed looking back as I put it together. We wish all of our family and friends a very Happy Holiday and blessed year to come! Thank you for being a part of our lives. 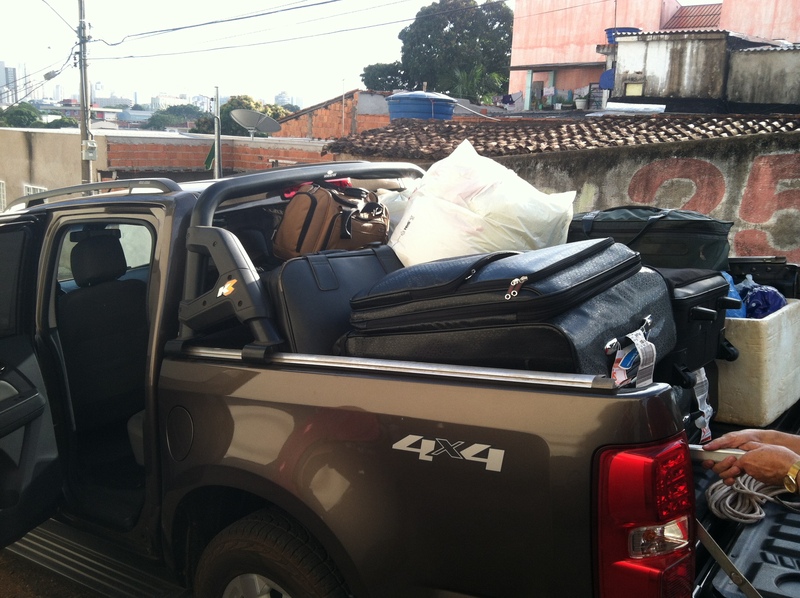 After a couple weeks in Cuiaba, we packed up a very full pickup and headed to Poxoreu. Although the idea of spending a couple weeks in a small, country town in the middle of nowhere* might not sound like the best way to spend a summer in Brazil, I would have to disagree. We have had a great time here so far. There has been no shortage of food, family, or fun here. The kids are loving the fact that they can play soccer and “paga-paga” in the street with relatively little risk of getting run over. *As we were driving, I was trying to explain to N. the difference between cities and countries because he kept asking me if we were in Brazil yet. I was explaining that we had been in Cuiaba, which was a city, and now we were driving to Poxoreu, which is another city, and all the cities are in Brazil, which is a country. Then N. looked out the window and asked, “So, which city is this? I explained that this part of the road was between two cities, and in an attempt to simplify things, may have said that it wasn’t really anywhere. Then, in a moment of clarity that only comes with the innocence of childhood, N. exclaimed proudly, “Oh, I get it! We are in the middle of nowhere!” LOL! Exactly. The majority of the last week and a half has been focused on a holiday that they celebrate here in honor of São João Batista (Saint John the Baptist). 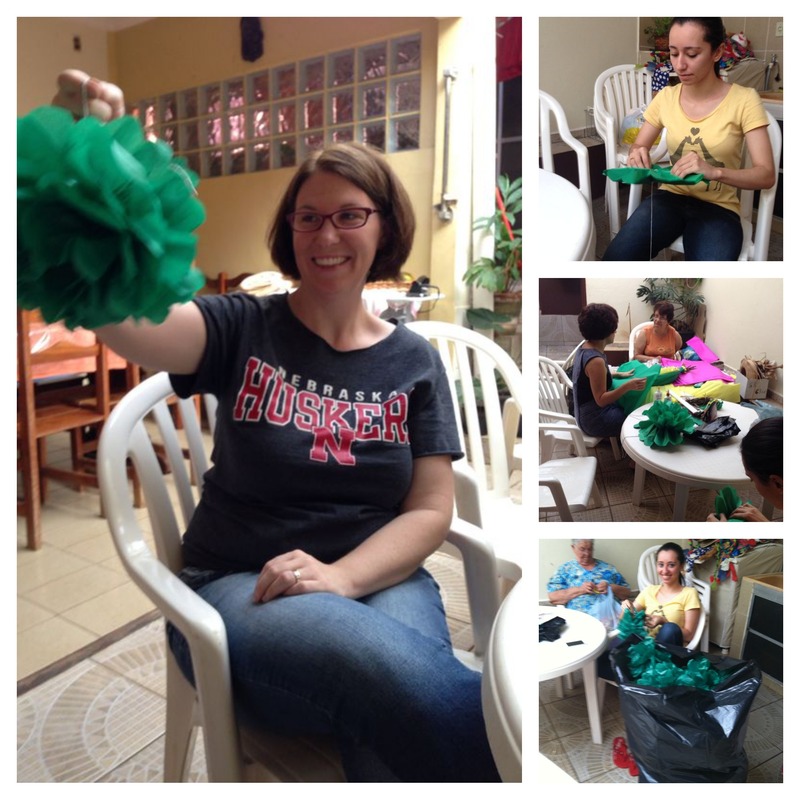 My aunts seem to be key organizers so we spent a lot of time making decorations! 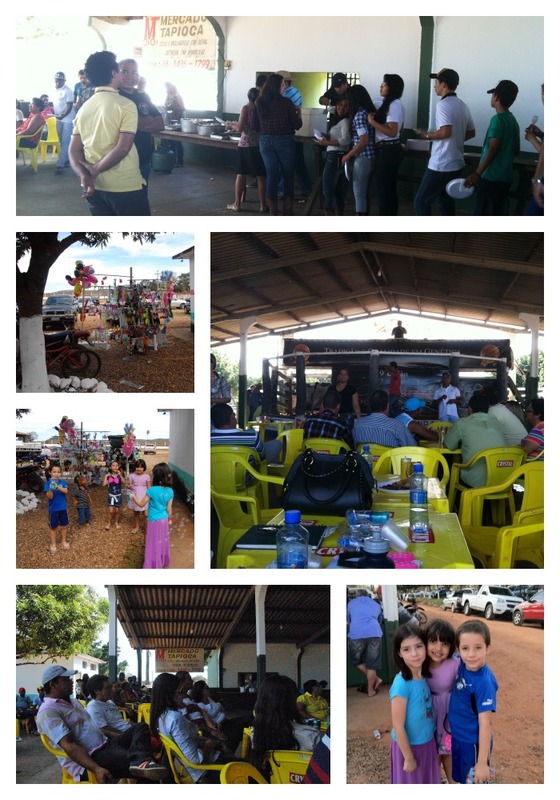 There was a festival at night called Festa Junina that consisted of a lot of fried food, some carnival games, a very loud auction, a slightly dangerous trampoline (no bounce houses here), and lots of randomly exploding fireworks. 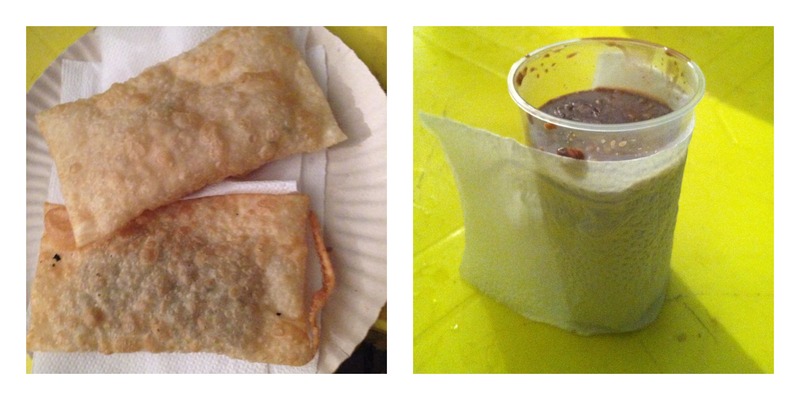 We ate a lot of fried food filled with meat and cheese, called “pastels”, and I tried something called Quentao, which was like Chai tea with a kick. (I was not a fan.) I also had some Chocolate Quente (Hot Chocolate) which loosely resembled the version I’m familiar with, except that it had nuts in it. It was also burning hot and served in a flimsy clear, plastic cup which made for a lively trip back to my table! The kids had a lot of fun playing the a fishing game where carnival prizes could be won by snaring wooden fish with a long pole wearing a hooked prong at the end. We will be returning to the United States with a lot of little plastic men, several pairs of socks, some plastic cooking toys and a couple more dolls than we brought with us. The kids made some new friends. Once the neighborhood kids figured out that there were a couple American kids on the block, they just kept coming! The kids are like mini-celebrities. They were a little overwhelmed by the sudden rush of attention, but once they warned up to it, I think they had fun playing pick up games of soccer, and it kept them busy for a couple days until the charm wore off. The other kids were excited to learn some new words in English, too. This trip has been full of firsts. I added another one to my list: first cattle auction. You would think, being from a small town in the middle of Nebraska, that I would have been to at least ONE cattle auction, but none spring to mind. This cattle auction kicked off with a simple, but tasty meal of rice, mandioca, and meat (which I assume was from one of the cows that wouldn’t be getting auctioned off…). On a side note, I don’t ask a lot of questions about the meat before I eat it. I’m sure I’ve eaten some parts of animals that I’d rather not be aware of, but it has all been delicious so far. Also, everywhere we go seems to have someone selling cheap, carnival toys that blink and flash in a way that screams “Buy Me!” in a language that only children understand. We will also be taking several of these toys back to the United States with us. The cattle auction was an education in the life cycle of a hamburger, and erupted a fury of questions from the kids. “What do they do with the cows after they sell them?” “But why do they want to kill them?” “How do they kill them?” “Can we buy a cow, but not kill it?” So far we are buying a horse, a cow, a sheep, a goat, several chicken, and possibly an ostrich. They are all going to live in our backyard. The kids promised to clean up after them, although N. volunteered his sister for this job. I think we should start with a fish. There are a considerable amount of farms around Poxoreu. 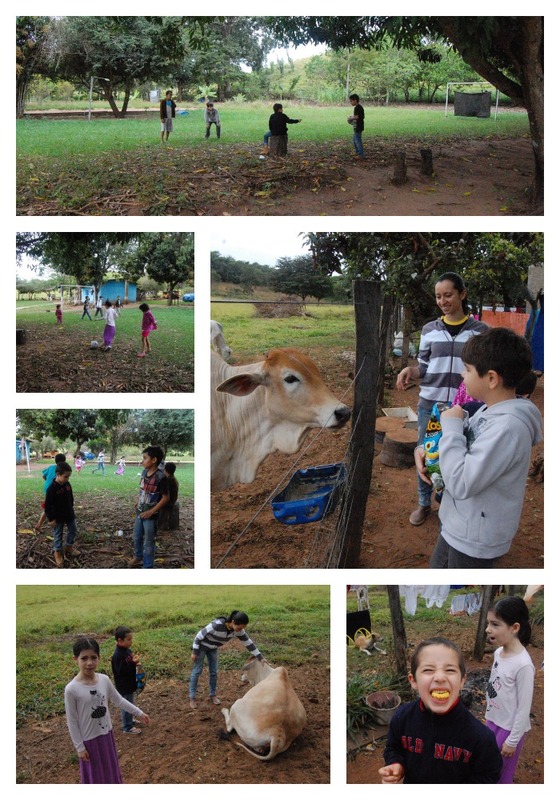 The kids love the farm because they get to see animals, run in the open grass, and swim. It was a little chilly for swimming, but they did get to ride horses, talk to cows, chase chickens, and play in the dirt. Basically, they got to be kids and do things that you don’t get to do when you grow up in a city. We also watched Brazil grasp a thrilling win over Chile in a last minute penalty kick shoot-out while my uncle fixed some amazing Brazilian BBQ. I think the pictures speak for themselves. Dryers. This is something I think I would miss if I lived here because who has time to hang dry and iron all of their clothes?? However, I am finding that the process of doing laundry while I am here on vacation with nothing better to do is kind of therapeutic. Driving. I’m used to being able to go wherever I want, whenever I want. I probably could drive here if I really wanted to, but without knowing the unstated rules of the road I think I am better off waiting for someone to drive me around. Don’t get me wrong. These are minor inconveniences, and I actually had a hard time thinking of very many things that I really missed because there are so many other things here to replace them. There is never a shortage of delicious food, smiling faces and a sense of togetherness that I will definitely miss when I head back to the United States. I’d love to know what everyone else misses when they are traveling, whether it’s for a weekend, a month, or an extended stay!